This version is honed, washed, and ready for race track assembly. This block has set multiple records, and won multiple championships!! 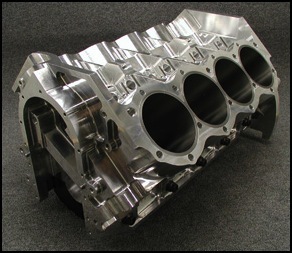 The CN Blocks 1048Y is a forged billet aluminum replacement block for the 481X engine. We have engineered many improvements into our 1048Y. 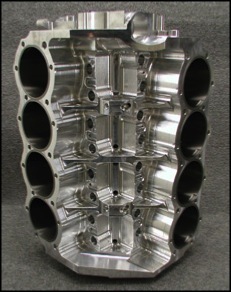 First and foremost, it is a forged billet block and therefore is substantially stronger than the old cast 481X. The 1048Y is engineered to have better ring seal and maintain truer cylinders. 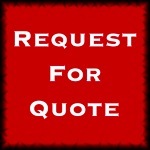 With better ring seal you will make more power when using a 1048Y block. All five main caps are cross bolted and contribute to overall block strength. The 1048Y has been engineered with rod breakout panels to minimize block damage in the event of rod failure.